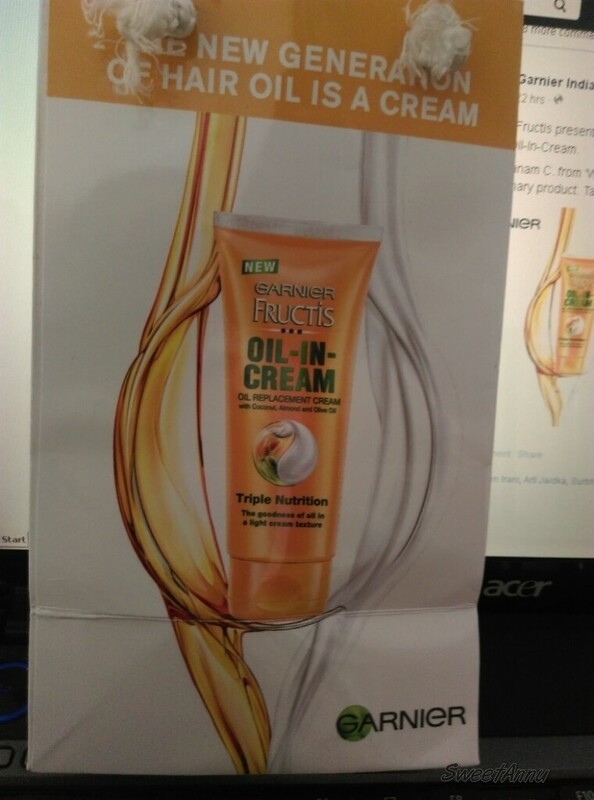 I received the “New Garnier Hair Oil cream” and was very excited to use this revolutionary innovation. 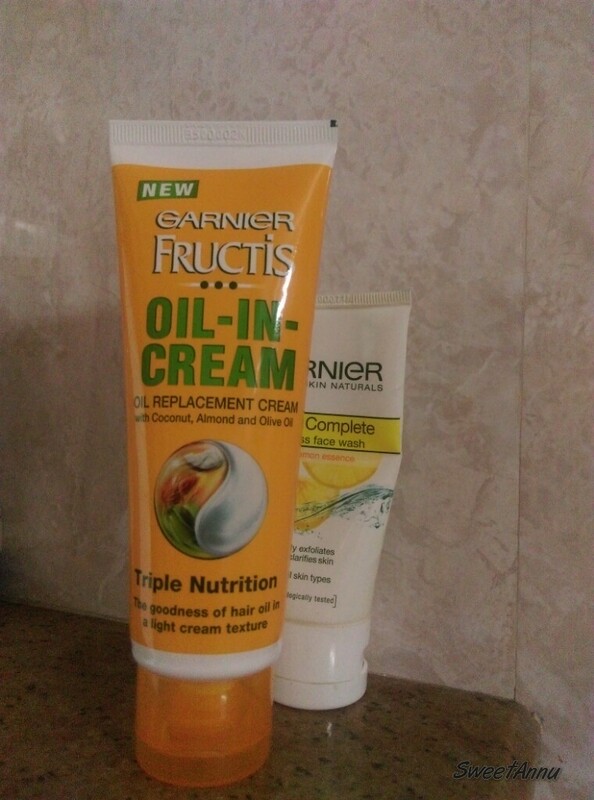 So here is my product review on yet another amazing garnier Hair care product. Use of oils has always been an intrinsic part of the hair care regime in India. hair oils are used before a hair wash and also used post wash.
Women in India use oils for various benifits such as strength, nourishment and to prevent dryness.The new Generation of Hair oil cream is a formula with the power in a non sticky and light cream format. So to start with, the main thing that actually attracted me to try this one was that it was a blend of three most nourishing hair oils ever. I really liked the idea of a non sticky, chip chip hair cream that gives me the added benefit of three oils- Almond, coconut and Olive.The stand up orange color packaging is attractive and sturdy. and will look so pretty on my dressing table. I first tried it at night and took a bit on my palm. 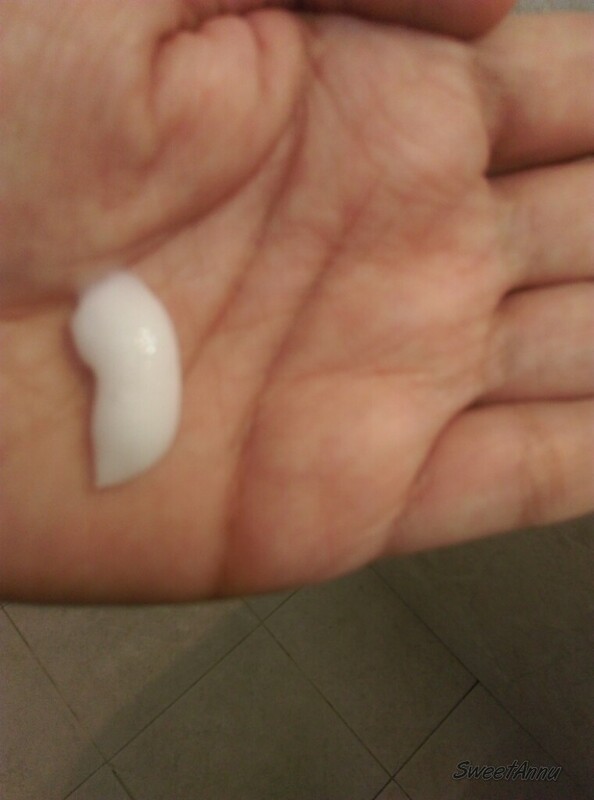 I Rubbed it between the palm, it has a non runny texture and could be applied without dripping. That was the main reason I didnt like regular oil, It falls on clothes, floor and makes a mess. I loved the mild yet fruity floral fragrance that regular hair oil doesn’t have. I applied it to the scalp and the rest to my hair. A quick finger tip massage and I was ready to hit the pillow and sleep well. 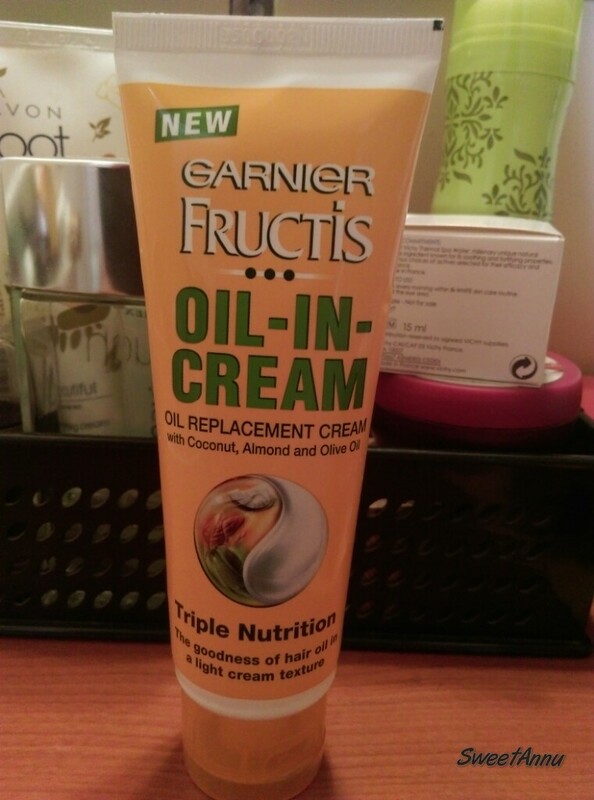 Next morning my hair felt nourished with the oil yet didn’t show signs of a oily scalp. The best thing was with one wash my grime and grease was out unlike when using hair oil. A minimum two washes are required. 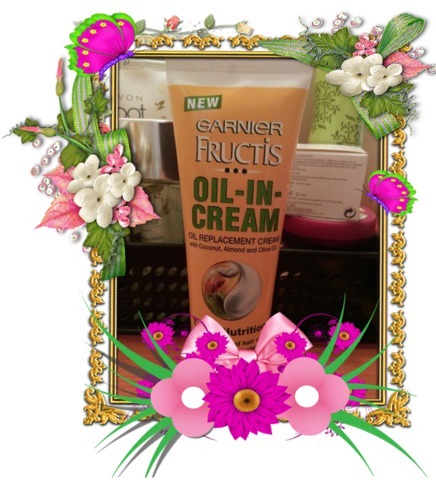 Garnier Oil-in -cream can be applied after wash too for that extra manageability and style. 2. The fruity fun fragrance is worth experiencing. 3. No tangles with the cream, easy to comb through. 5. Little product used every time. 6. Washes off easier than hair oil. There was only one negative thing I could think of. 1. You don’t get the feel of an authentic champi malish your grandmother will give you. The pricing is good and affordable. And a little is used at a time,making the product last long. Will i recommend Garnier Hair Oil cream ?